Thursday is Cinco de Mayo, a day when we Americans join our neighbors to the south to celebrate freedom’s triumph over tyranny with Mexican-inspired food, sweet tequila cocktails, and good ol’ cerveza. 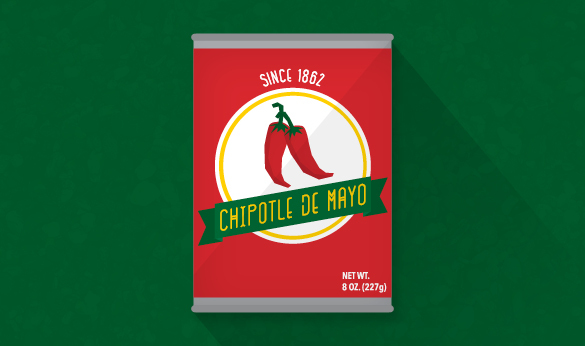 The commemoration of Mexico’s 1862 victory over French occupational forces also seems like a good time to remember another of the country’s great cultural icons: the chipotle pepper. The humble smoked jalapeño has been valued for centuries in traditional Mexican cuisine for its bold flavor and versatility. The word “chipotle” means “smoked chili” in Nahuatl, the family of languages spoken by the Aztec people that also gives us the words “avocado,” “chili,” “tomato,” “chocolate,” and “coyote.” Unlike the chilis grown for pickling or eating raw, jalapeños used to make chipotles are left on the vine until they turn red and become rather dry. The smoking process used to create the chipotle serves to preserve it while also imparting a signature smoky flavor. A source cited by The Austin Chronicle in its excellent history of the chipotle suggests that the introduction of smoke to the traditional drying process may have historically been necessary to prevent the thick-skinned jalapeño from rotting before it was adequately dried. Depending on what part of the country you’re in, you’re likely to find a few different forms of the chipotle pepper for sale at your local supermarket. These range from the simple whole dried pepper and crushed powder to more complex preparations like hot sauce and marinade. One of the most common and useful is chipotle in adobo, whole peppers canned in a sweet and smoky sauce made from tomatoes and vinegar that can be used as a marinade for virtually any meat and as a base for an endless number of soups, stews, skillets, and chilis. 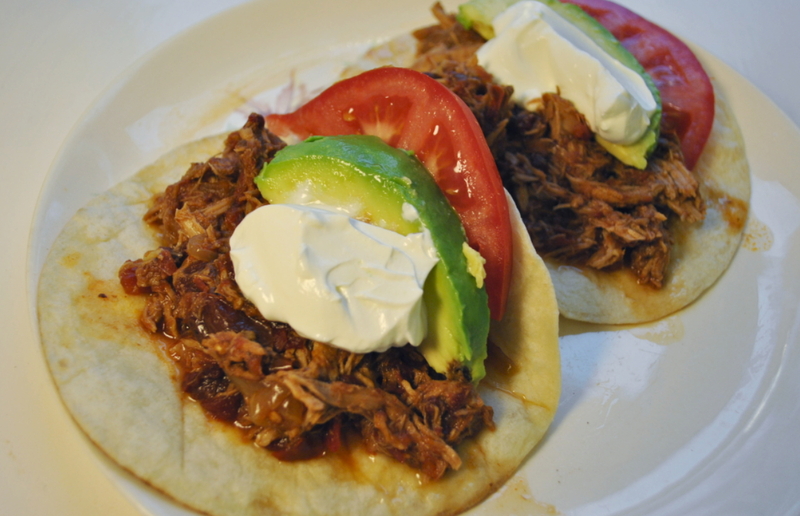 I’d like to offer this recipe for simple but supremely spicy slow cooker chipotle carnitas for your Cinco de Mayo fiesta. Use this dish to top nachos or as a filling for tacos, burritos, or enchiladas. Serve it with fresh tomato, cilantro, avocado, and sour cream, and any side dishes you choose. I used a pork loin roast because it was cheap, but most people use shoulder, which is a fattier and therefore juicer cut. Rub roast with coarse salt on all sides. In a pan of hot oil, sear each side of the roast just until it develops a crispy brown crust. Place pork in the slow cooker and spread the rest of the ingredients on top and around the sides. Cook on “Low” overnight or until the roast can be pulled apart with a fork. If you’re left with a lot of juice in the pot, you can uncover the slow cooker and turn it to “High” to let some of the moisture cook off or accelerate the process in a stockpot on the stove.